sweet. Angel Vasquez’s raw voice captured me instantly. plain, simple and uncomplicated, big letters, it’s goood. get it & spread it.. 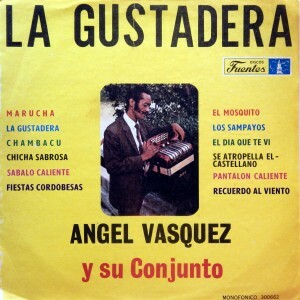 This entry was posted in Charanga, Colombia, Pachanga, Paseaíto, Porro, Son Pachanga, Tropical de Colombia, Vasque Son by Moos. Bookmark the permalink. Hee amigo, das weeer een aardig staaltje musica zo op je blog. Muchas Gracias! GRACIAS POR COMPARTIR ESTA BUENA Y BONITA MUSICA..